Shopfronts are a non-load bearing, low-rise system of glazing attached to a building’s structure. Therefore, a lot of care and attention is required when it comes to their design and installation. Why Choosing Lancashire Shop Fronts Windows for shop fronts in Colne ? 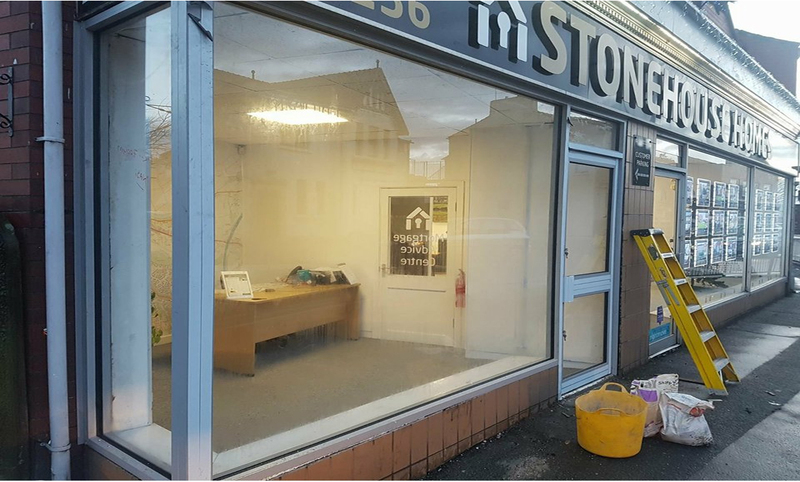 The shopfronts install by Lancashire Shop Fronts are made to measure using a 100mm x 50mm aluminium box section. This can be powder coated to suit the colours of your property. Our choice of hardware is also designed for commercial use, meaning it can withstand the constant footfall of staff, customers, and the general public. What’s more, our laminate safety glass can go as big or small as you require, allowing your business to advertise its products in all their glory. Our installation team is highly skilled with many years of experience & able to customize the shop fronts according to your needs. Our process of working includes an initial level of discussion about the project which covers the visiting to your site and then giving you a best solution with best quotations. While working on your premises we take care of each aspects of safety and pricing. Out of all the Shop Front Manufacturers in Colne, Lancashire Shop Fronts is the most flexible shop font designer. I would also add that we are never knowingly beaten on price for the similar quality product, so please feel free to talk to me if you think you have received a lower quote from someone else.